The last weekend of July brought me many new counties. 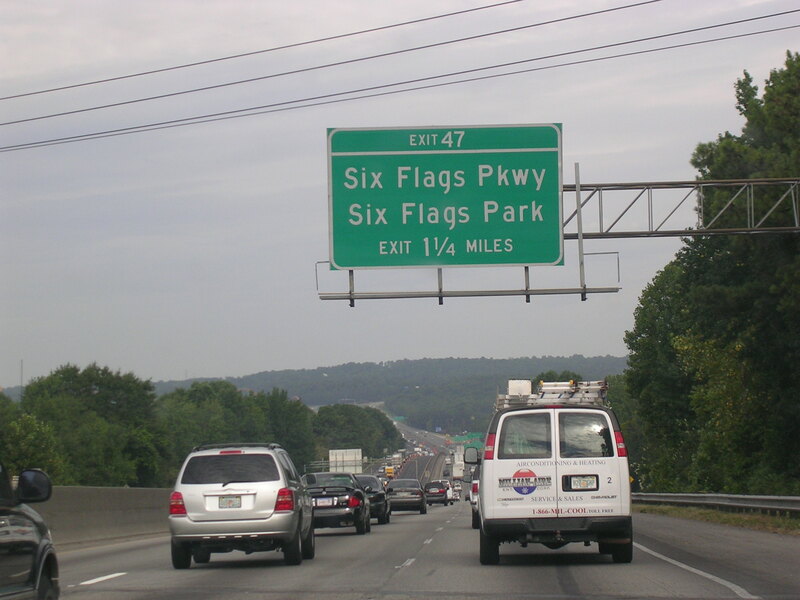 First with a few friends I went up to Six Flags in Atlanta, then we all went for a long jaunt through the southern Appalachians before heading back down to St. Augustine. Some friends were less enthusiastic about the trip than others, but that is to be expected. Enjoy the pictures, y'all! 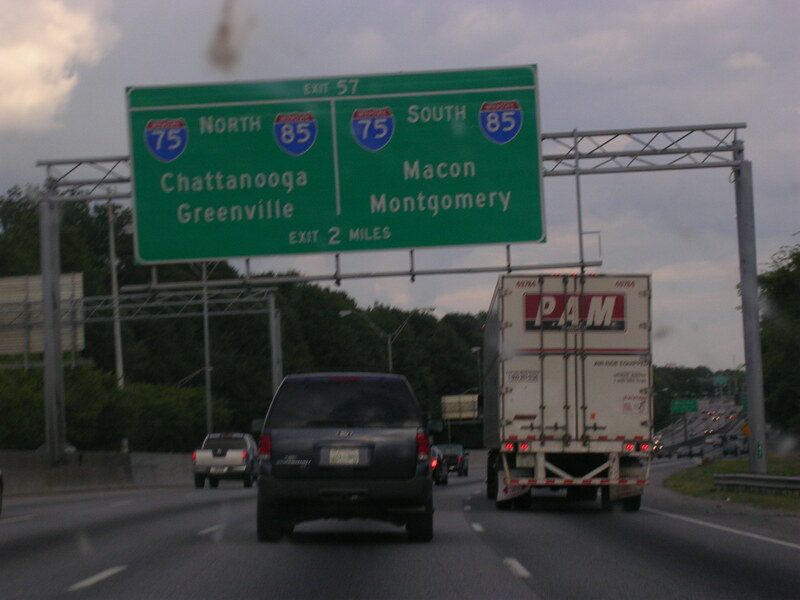 The first snapshot of the trip is NB I-85 in Alabama, just north of Opelika. 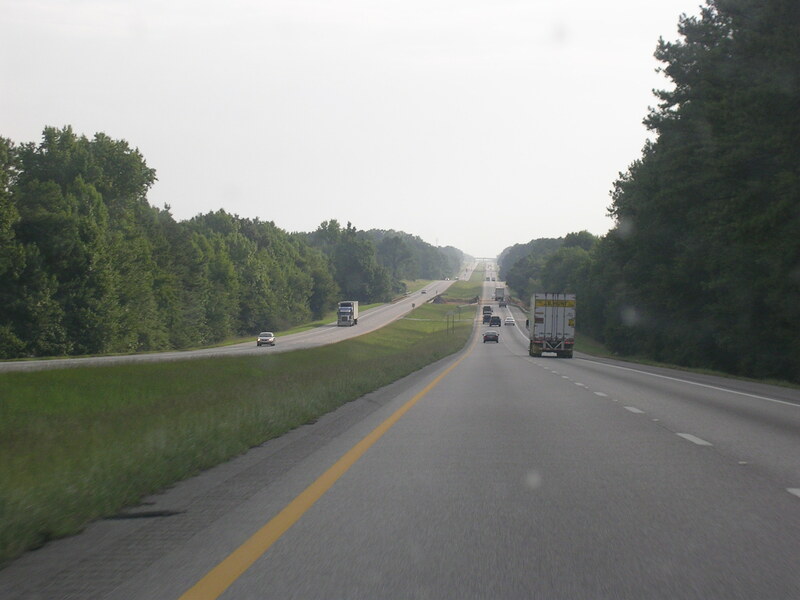 We stayed the night there after leaving St. Augustine at 10 p.m. Gas stop just inside the AL border. Nice old shield with the state name in it. New state, new county, new timezone! Sonny Perdue welcomes me yet again. 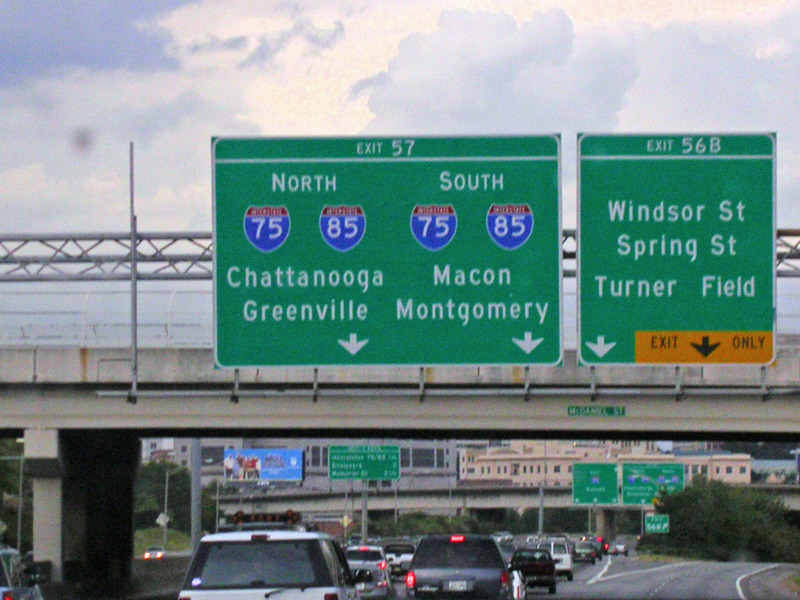 North I-85 shield. 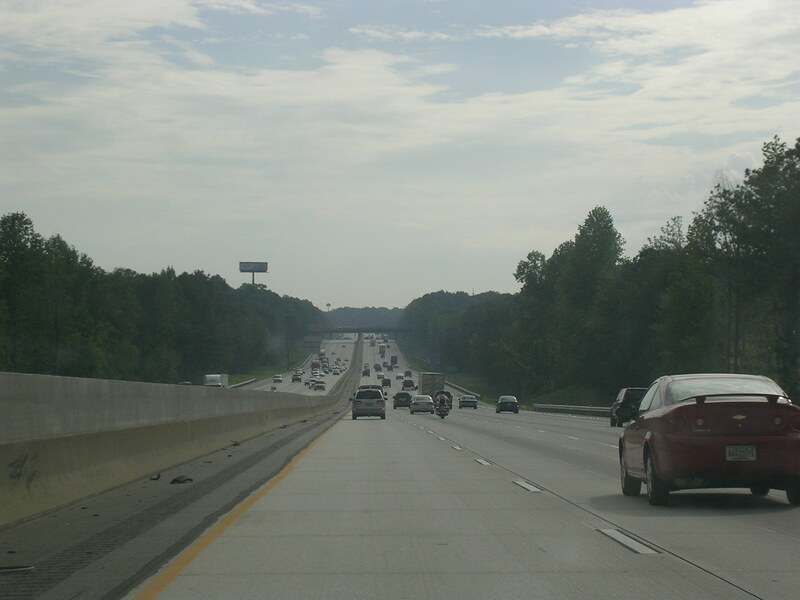 I-185 heads south to Ft. Benning, where my mom was born. 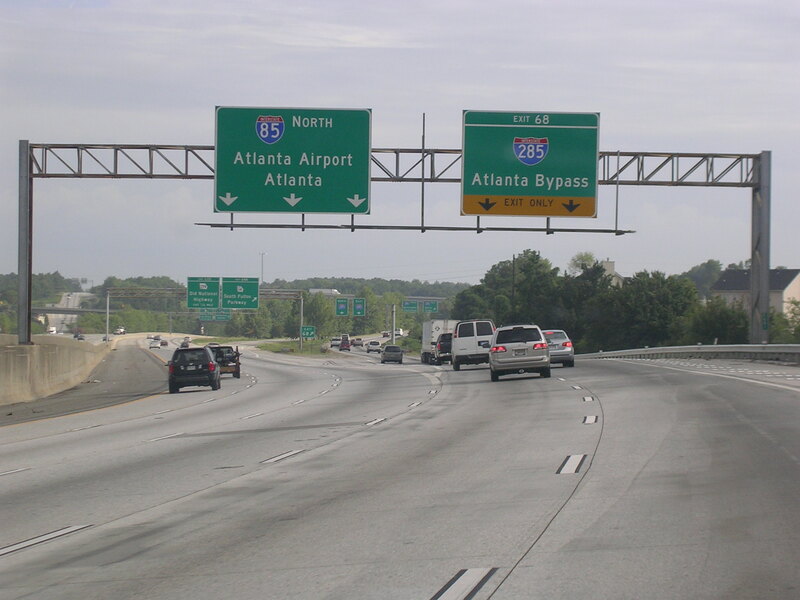 I-85 widens to 6-lanes as we approach the Atlanta metropolitan area. 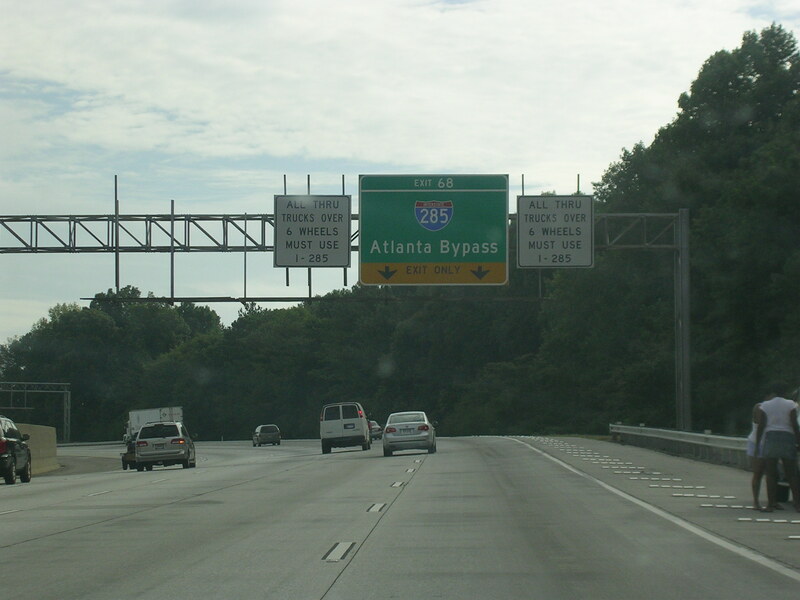 A diagrammatic BGS for the Atlanta Bypass, I-285. 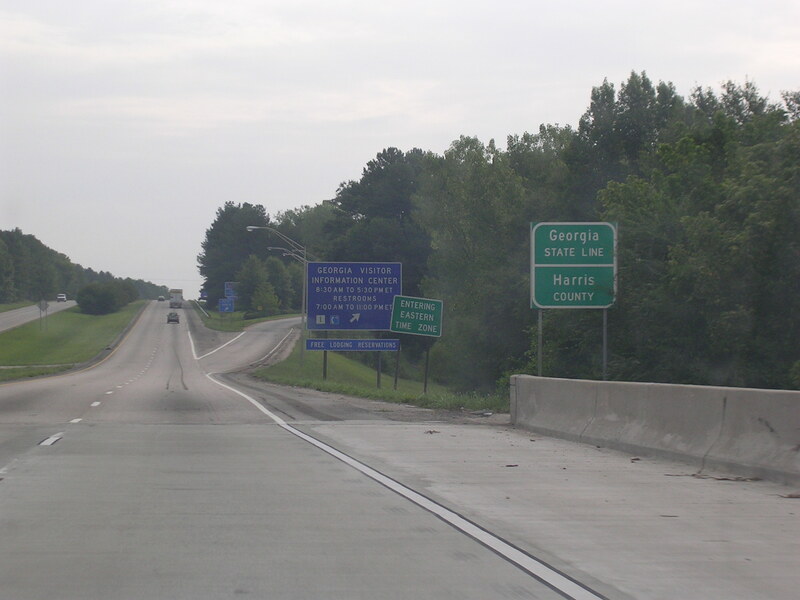 Approaching GA Spur 14. 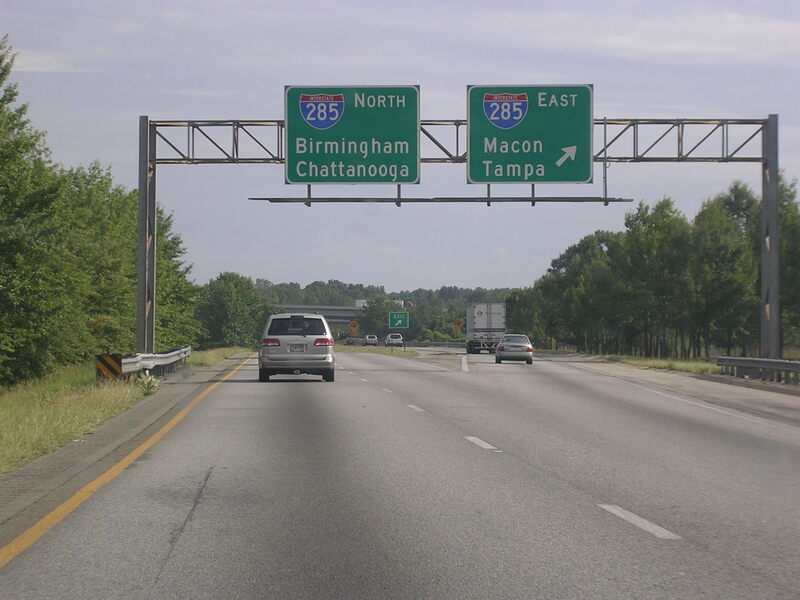 Where I come from, we don't have "Spur" routes. 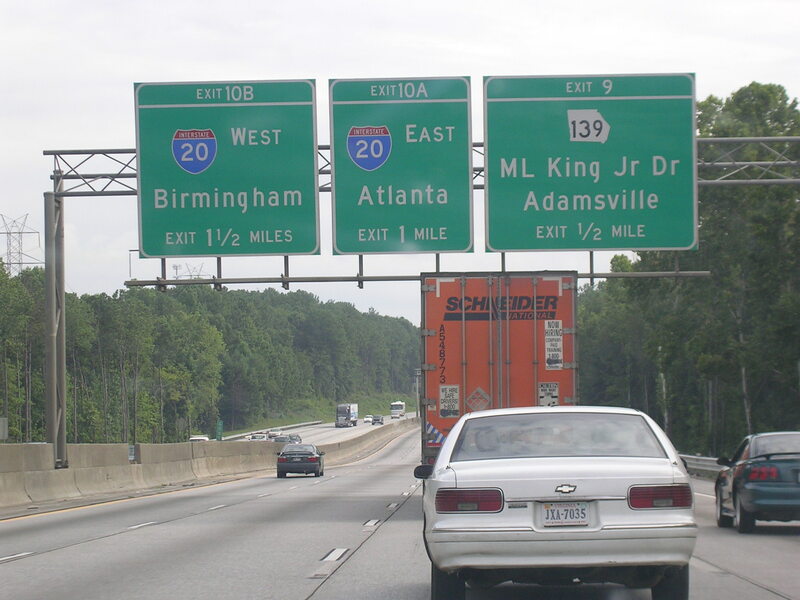 We're about to get on I-285. 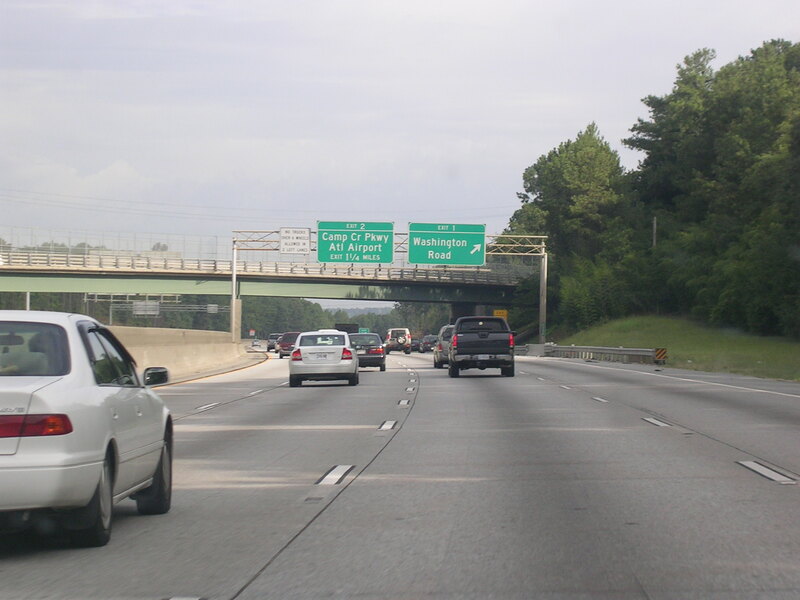 Here's where I-285 splits off from I-85. 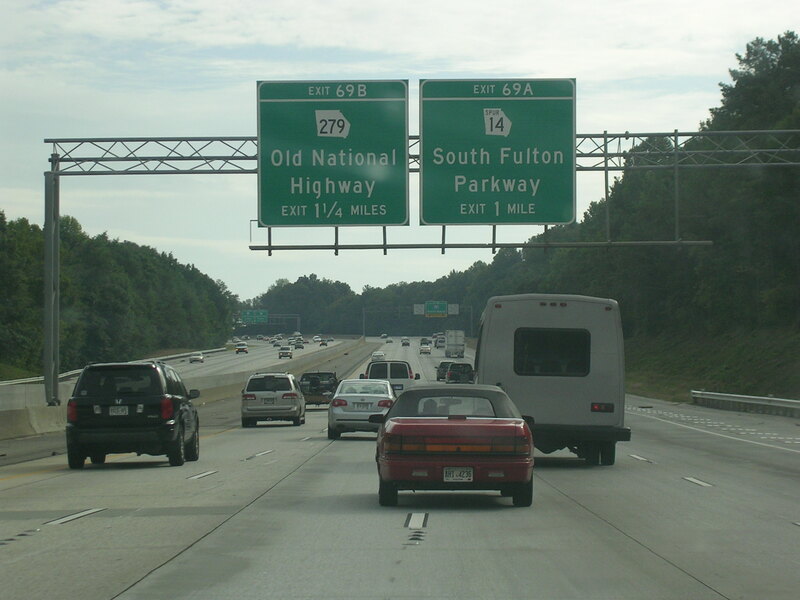 We're going north on I-285 en route to Six Flags. 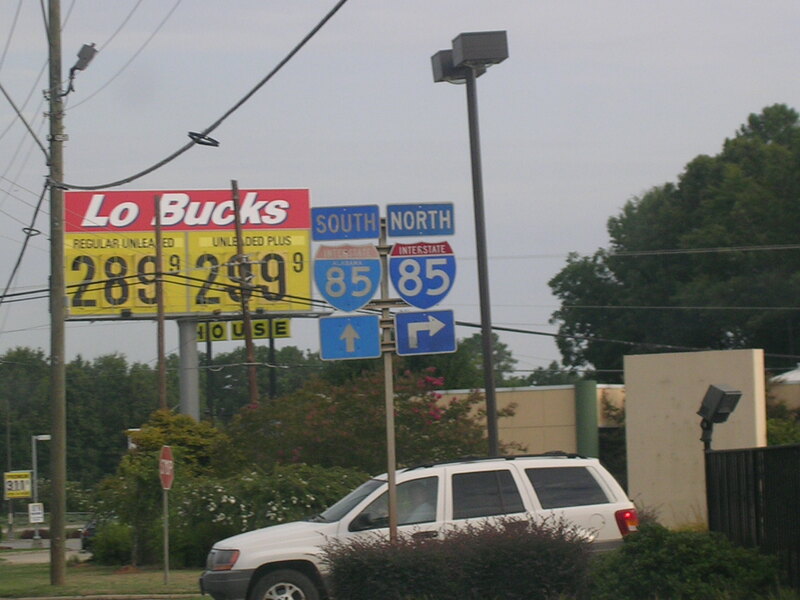 There are a couple of signs on the Tri-State Tollway (I-294) in Illinois just like this one. 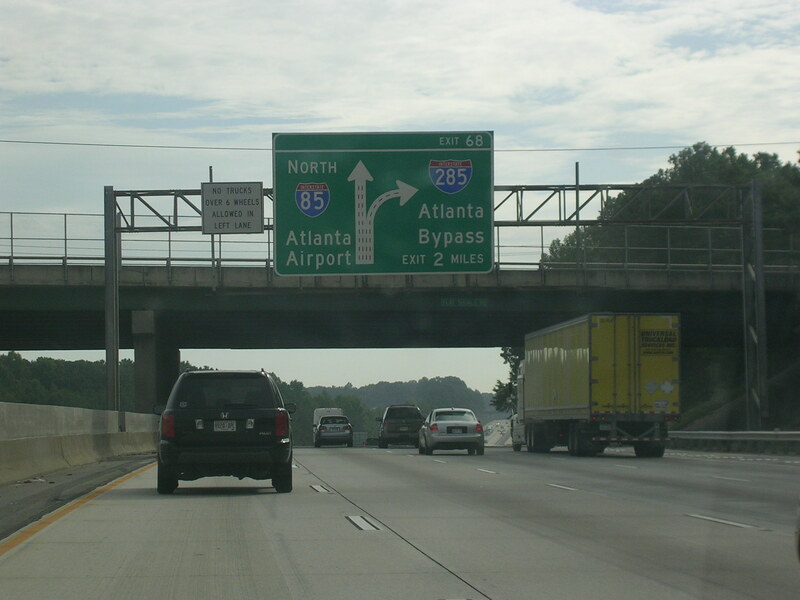 I-285's exit numbers reset at the I-85 junction. 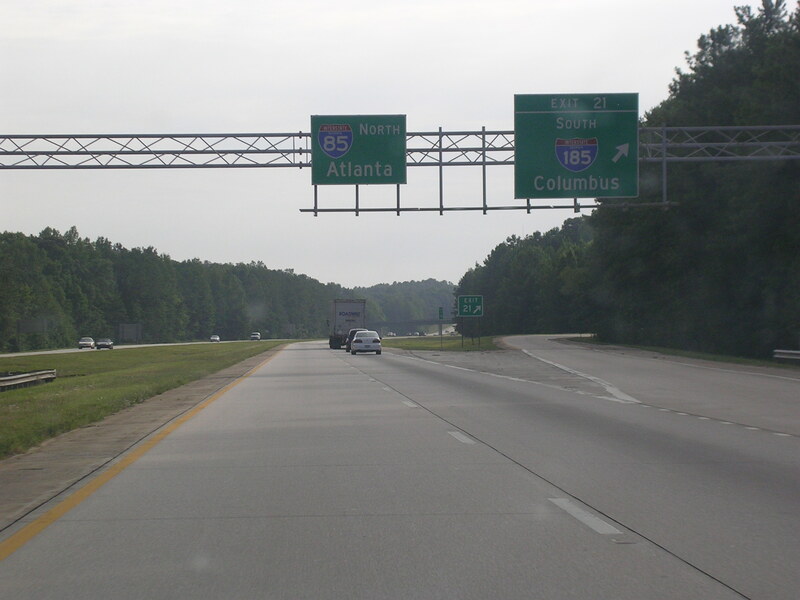 Coming up on I-20. 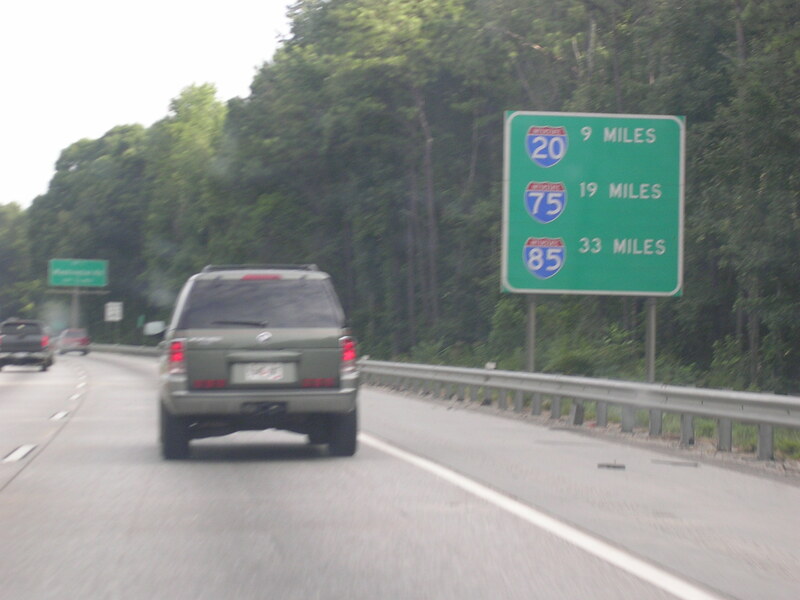 Georgia just loves these diagram BGSs. 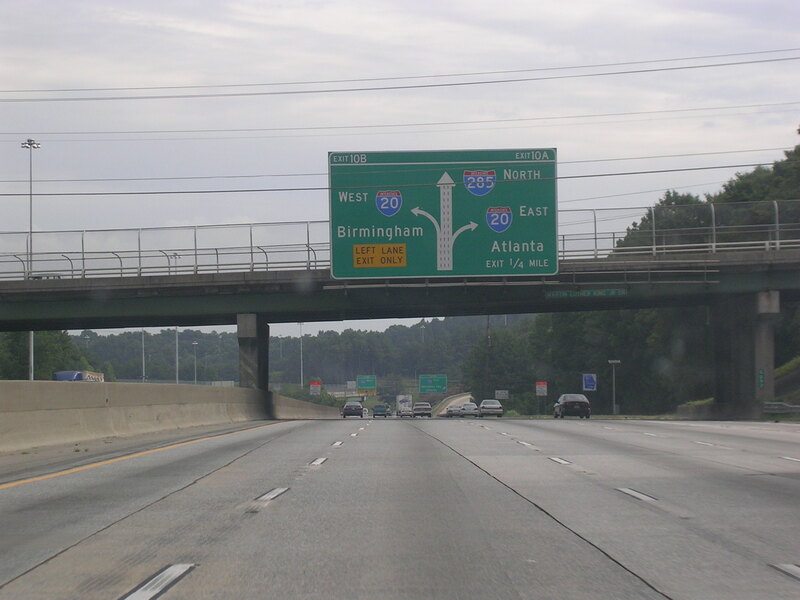 The exit for WB I-20 is on the left of I-285. 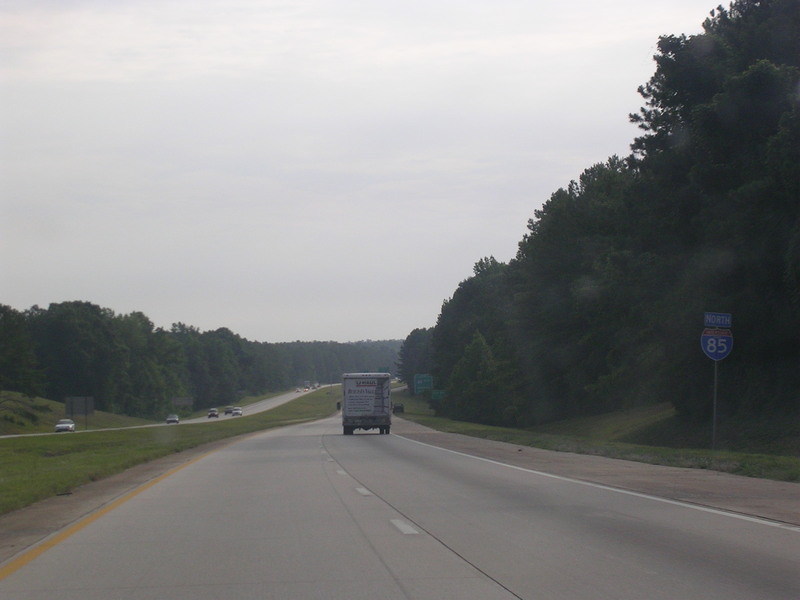 Westbound I-20. 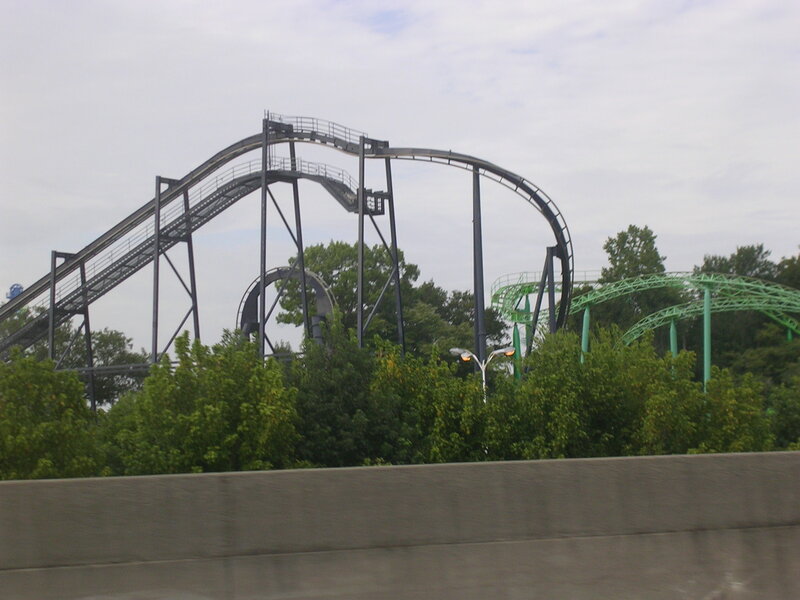 You can see the roller coasters from here! 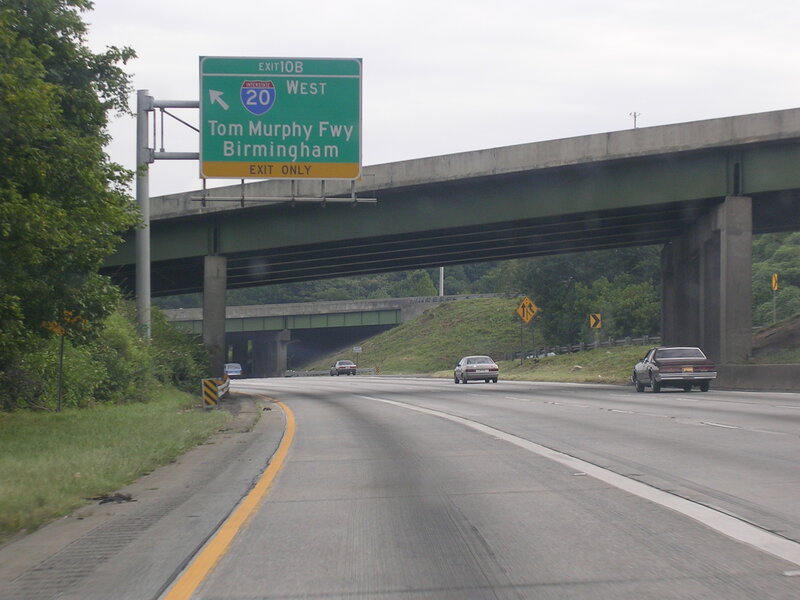 More WB I-20. Look at the fun! 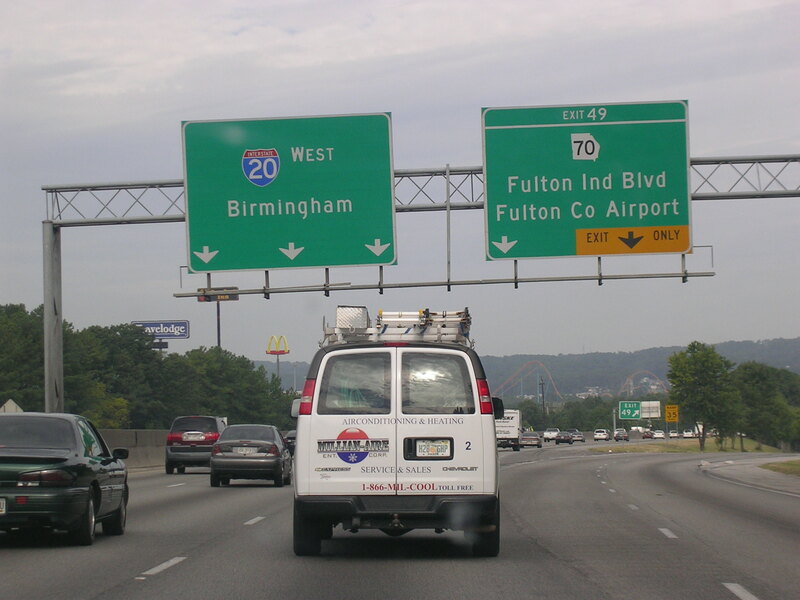 The day's over and we're heading back East on I-20. 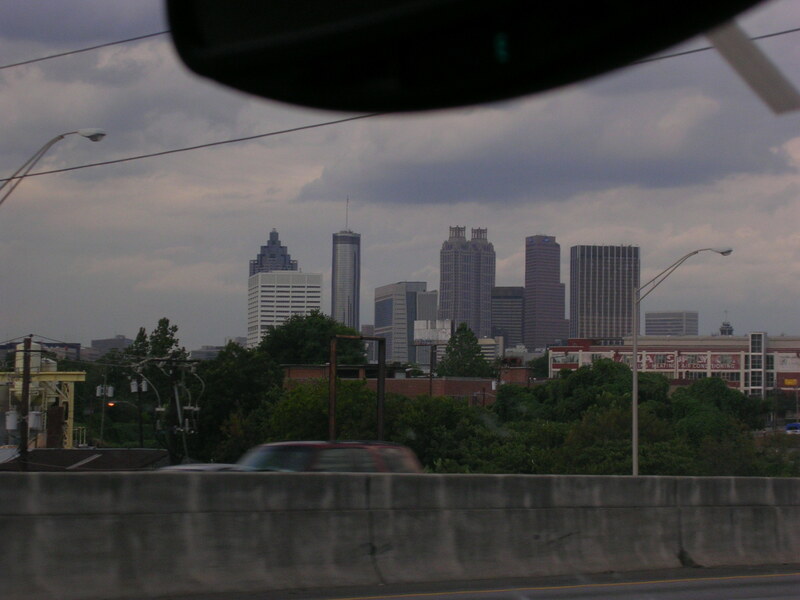 Closing in on downtown Atlanta. Hey, look! It's a city! 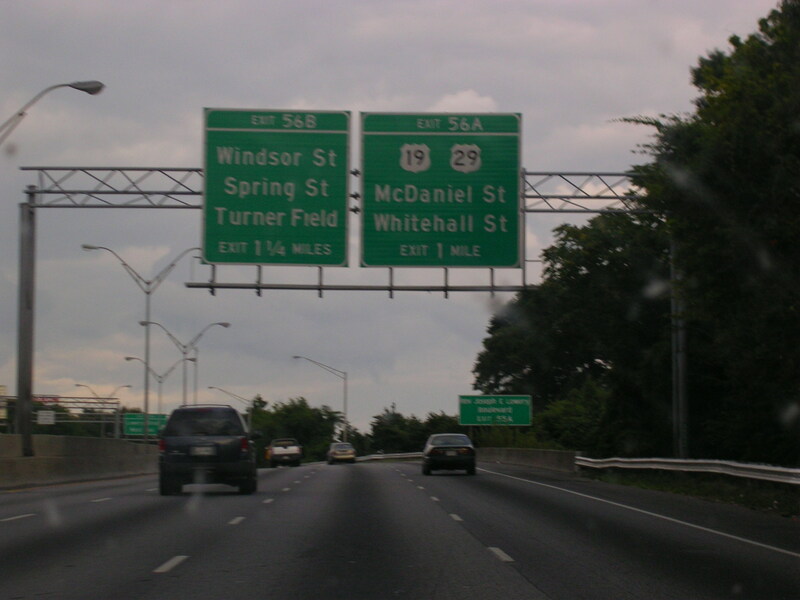 Coming up on I-75 and I-85 in downtown Atlanta. 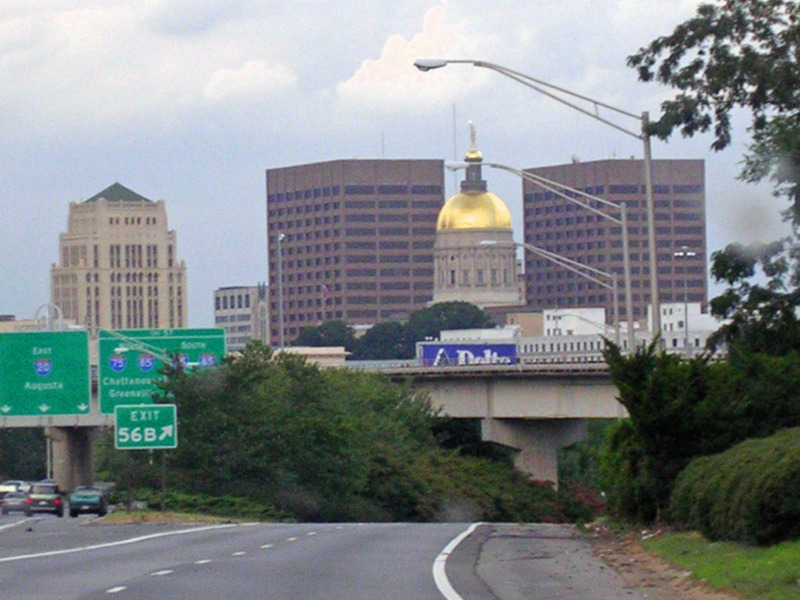 Not only is Atlanta Georgia's largest city, but it is also the capital. Here is the Capital Building. 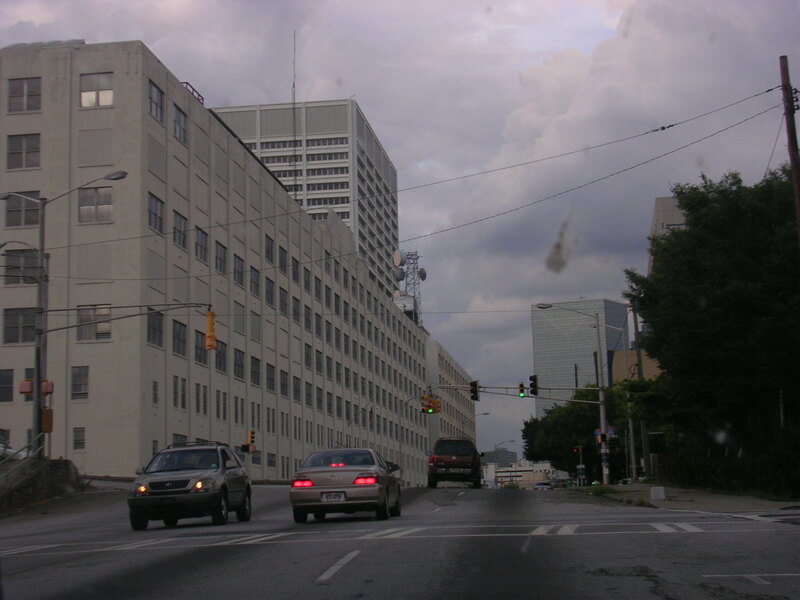 Getting off the interstate to explore the city a little bit.